So Who Created the Highway 3 Roadhouse? In 1989, Louisiana native, Chef Chuck Norton settled in Durango after being co-creator and owner of restaurants in Hammond, Louisiana; Aspen, Telluride, Ouray and Durango, Colorado. Here in Durango, Chef Norton started Norton's Catering Company which has been one of the premier caterers in the area ever since. Being a New Orleans native, Chef Norton brought his unique flavors to any theme and a vast array of experiences from Cajun, Italian, Mexican, Southwest and Southern cusines. 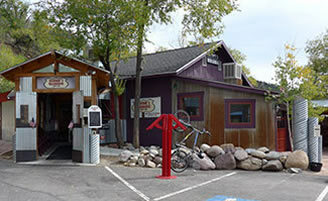 In 2010, Chef Norton moved his catering kitchen into an old building on Highway 3 in Durango. Recognizing that he had some extra space, he set up a bar and small seating area. On Fat Tuesday in February 2011 (also known as Mardi Gras day), the Chef opened his doors to the new Highway 3 Restaurant and Oyster Bar. Since then, the building has grown with additions increasing the seating capacity. During the summer, a wonderful outdoor seating area is available. The newest addition came in 2015 with the "Garage Room" that includes an overhead door opening to the patio. When the chef started the Roadhouse, it was his idea to have a small place open just three days a week where locals could come and unwind after a day of hard work or play. 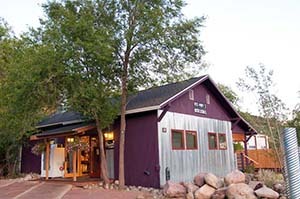 While the Roadhouse has grown in size over the years, it is still open just the three evenings—Wednesday, Thursday and Friday. Locals are still the mainstay, but the Roadhouse, nestled off the highway against a mountain, has also become popular with tourists who have found the secret spot.